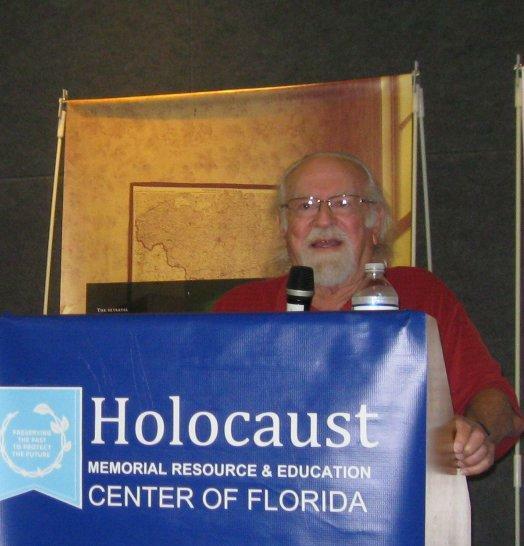 Holocaust survivor Henri Goodheim speaking at The Holocaust Memorial Resource and Education Center of Florida in Maitland, February 26, 2017. This is the second program in the 2017 Holocaust Center series entitled, I Remember: Reflections of Eyewitnesses to the Holocaust. 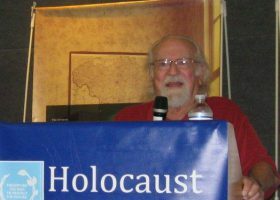 Program description: Local Holocaust Survivor, Henri Goodheim, will discuss his experiences during World War II. Born in France in 1933, Mr. Goodheim had to hide from the Nazis to avoid persecution. In 1939, crowded into a truck driven by his uncle, 7-year-old Henri, his mother, other family members and friends left Paris. Having run out of gas, they came to a small village where the mayor helped shelter them, procuring ration cards and false papers for them all. He emigrated to the United States in 1957. Please join us as we listen to his story of survival.